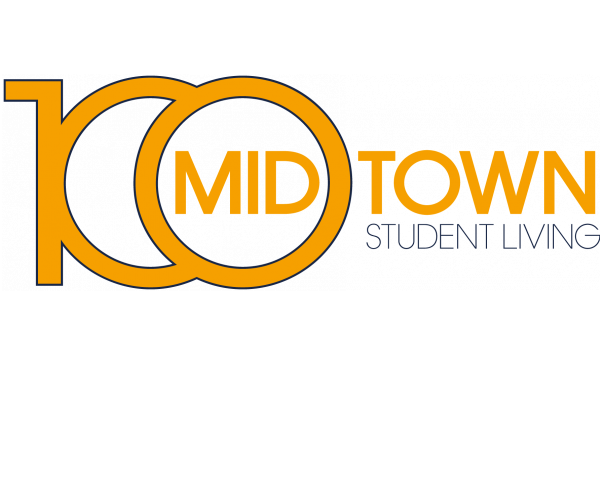 100 Midtown has the student apartments in Atlanta that you’ve been looking for. Conveniently located in the middle of the Georgia Tech campus, our community offers spacious, affordable housing just steps from class and only minutes from some of the best shopping, dining, and nightlife the city has to offer! Every apartment has 2 or 4 bedrooms, 1 or 2 bathrooms, a full kitchen, open living and dining areas, and spacious closets. Apartments also have a leather furniture package and their very own washer and dryer, making move-in easy and saving you money! As a community that caters to Georgia Tech students, as well as Georgia State, SCAD Atlanta and AUC students, it’s important to provide quiet spaces where our residents can study and do homework. That’s why we have a library, several study rooms, and a 24-hour computer lab featuring Macs and PCs loaded with engineering software and the Adobe Creative Suite. When you need a break from schoolwork, we have lots of community amenities to keep you occupied. In addition to free cable and Internet in every apartment, we have a video gaming room and a theater room with an HD projector and a DVD/Blu-ray player. Plus, you’ll never have to buy a gym membership as long as you live here thanks to our 24-hour fitness center with cardio equipment, machine and free weights, and a TRX station! Now that you know a little more about our apartment community, check out our photo gallery and floor plans, and contact us to schedule an appointment with our leasing staff. We’re happy to give you a tour, discuss pricing and availability, and answer any questions you might have. But don’t wait. 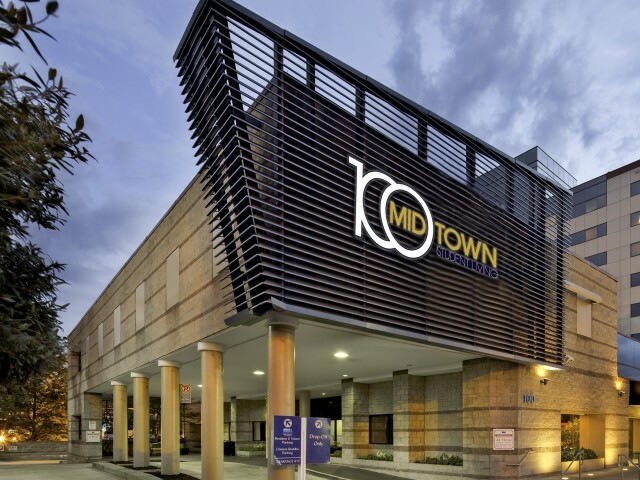 100 Midtown has some of the most popular student apartments in Atlanta, and you don’t want to miss out on this one-of-a-kind living experience!